This weekend, knitting industry insiders will gather in Columbus, Ohio for the annual TNNA summer show. TNNA attendees get a preview of what lies ahead for fall--exciting products, new publications, and fresh trends in the yarniverse. If you're Columbus-bound, we hope you'll join us for several STC Craft author events throughout the show. 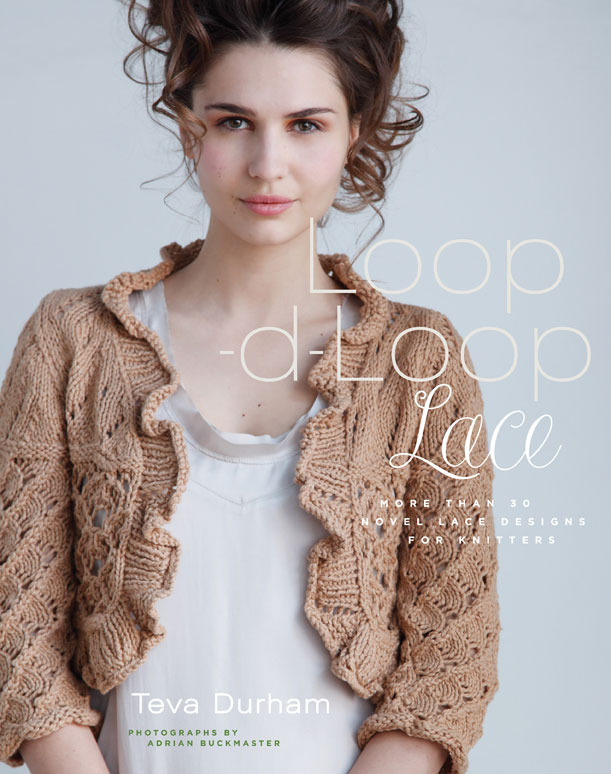 On Saturday and Sunday, Teva Durham will be signing copies of Loop-d-Loop Lace, the latest addition to her groundbreaking Loop-d-Loop series. Stop by R & M West Coast on Saturday at 11:00 am or visit Unicorn's Booth on Sunday at 3:30 pm to congratulate Teva on her beautiful new book. One of our new fall titles making its debut at the show: My Grandmother's Knitting, by Knitalong author Larissa Brown. My Grandmother's Knitting is a collection of stories and patterns inspired by those who taught us how to knit. Contributors include some today's biggest names in knitting: Ysolda Teague, Jared Flood, Meg Swansen, Cookie A., Ann Hansen, Teva Durham, and Wendy Bernard, among others. Showgoers can learn more about My Grandmother's Knitting and its contributors at R & M's booth on Saturday at 2:00 pm. Larissa will be signing a limited quantity of advance copies so be sure to get there early! Later that day, Pico Accuardi Dyeworks will be toasting the book's launch at its booth. Head over at 4:00 pm for an exclusive giveaway and a peek at some of the beautiful projects from the book. You don't have to attend TNNA to get a sneak peek at fall crafting. Online readers, stay tuned! Over the next few weeks, we'll be revealing more info, images, and behind-the-scene details about our upcoming titles. Until then--enjoy a breezy summer weekend, everyone!